I'm so sorry for the long delay, but I'm back now! I hope you're all doing really well. Today I am rocking Charisma by Zoya- priced at $8.00. I finished my manicure off with a top coat which made the color look a bit darker. If you don't use a top coat, be prepared for a snazzy color with a matte finish. Include any additional items you would like to purchase. Continue with the check-out process, Review & Submit your order. 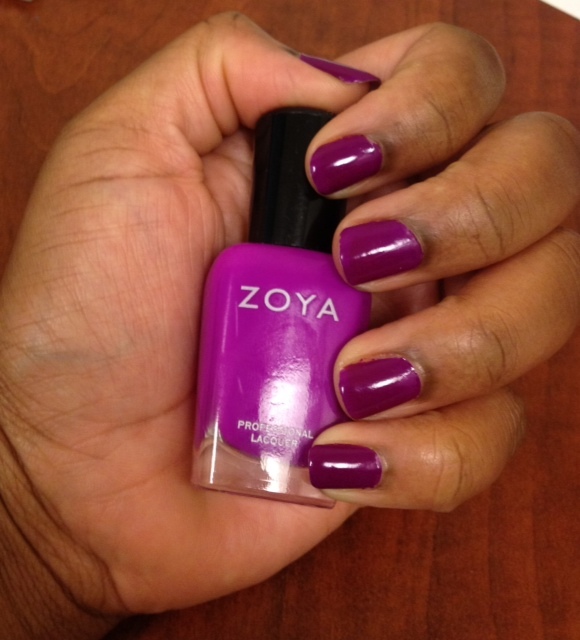 Don't fret if you don't have an account, Zoya always has great sales throughout the year. Glad to see you are back. Like that nail color, BTW. That is really good for fall. Thanks so much for checking out my blog!!!! Yes, yes no more delays lol.